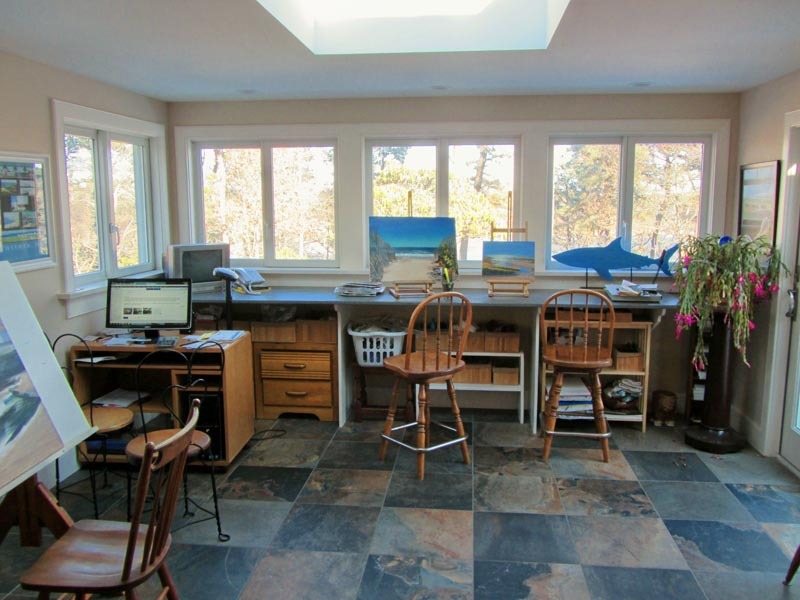 Stillwater Garden Studio was completed in 2012, the fulfillment of a dream of artist Tilda McGee Bystrom, who felt cramped painting in her tiny upstairs studio. 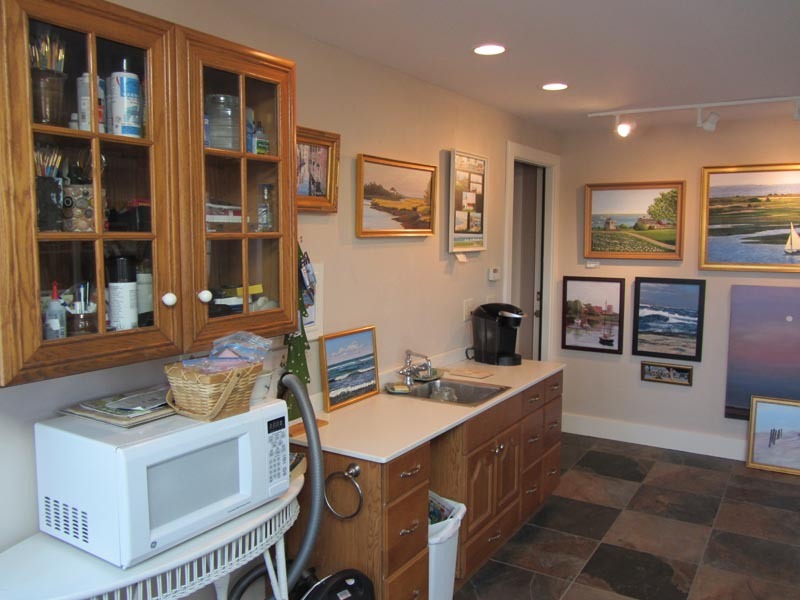 The studio was designed by architect Mark Zibrat of Chatham, whose grandfather had designed and built the house in the early 1950’s, and built by local contractors, Chip Hardy and Barry Mullen. The design allows lots of space for painting and storage, and affords a beautiful view of the gardens and pond. 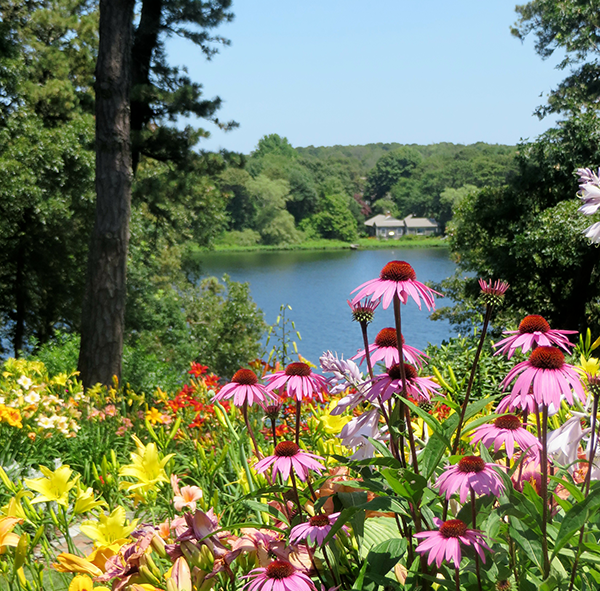 Stillwater Gardens sits high on a hill overlooking scenic Stillwater Pond, one of the Great Ponds of Chatham, and the only herring run in the Pleasant Bay watershed. The property consists of over an acre of beautifully manicured lawns and gardens, leading down through a natural woodland of oak, pine and blueberry to the pond below. 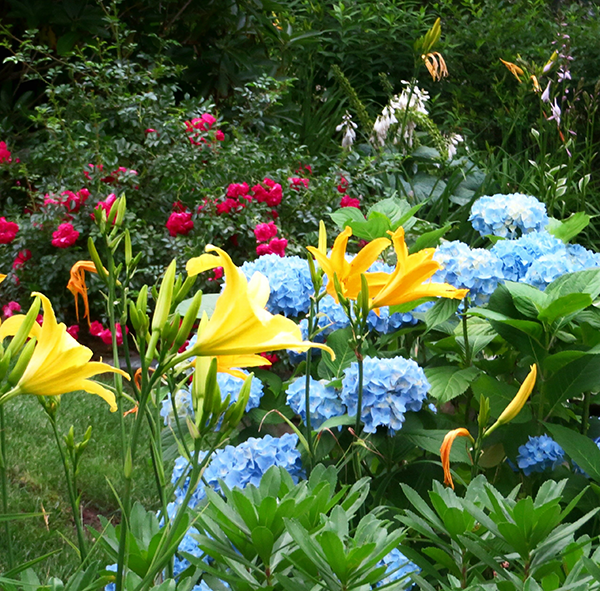 The property is a vision in May through early June due to the blossoming of over twenty-five varieties of rhododendron. 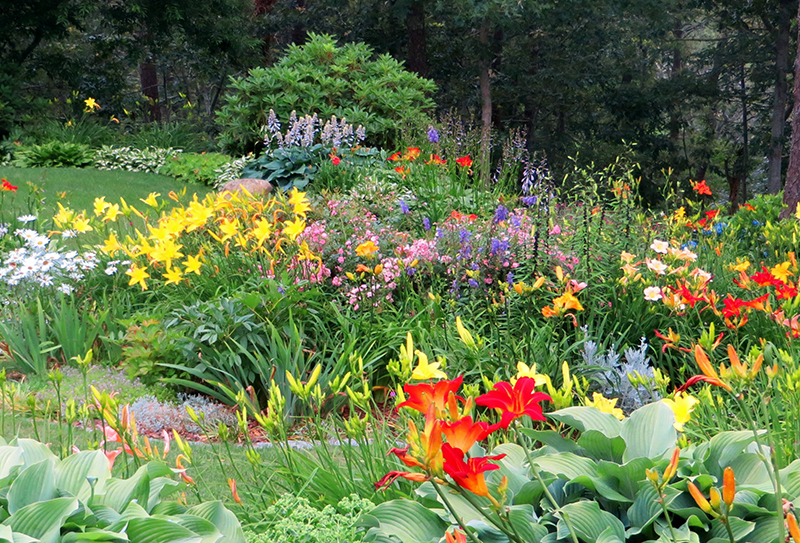 Hosta, daylilies, heuchera and wild geranium abound, as well as the beautiful hydrangeas so beloved on Cape Cod. It is worth a trip to the Studio to see the gardens.